When Boeing designed the 747, they hoped to sell many freighter versions. At that time, there was great interest in the freight industry in intermodal containers that could be transported in and on ships, on trucks, on railroad flatcars, and in airplanes. Containers can be packed by the shipper and allow for quick loading and unloading of ships and airplanes. The maritime industry had already embraced containers built to an international standard. They were 8 feet wide, 8 feet high, and either 20 feet or 40 feet long. Two 20-foot containers could fit in the same space as one 40-foot container. There was also a provision for 10-foot containers. 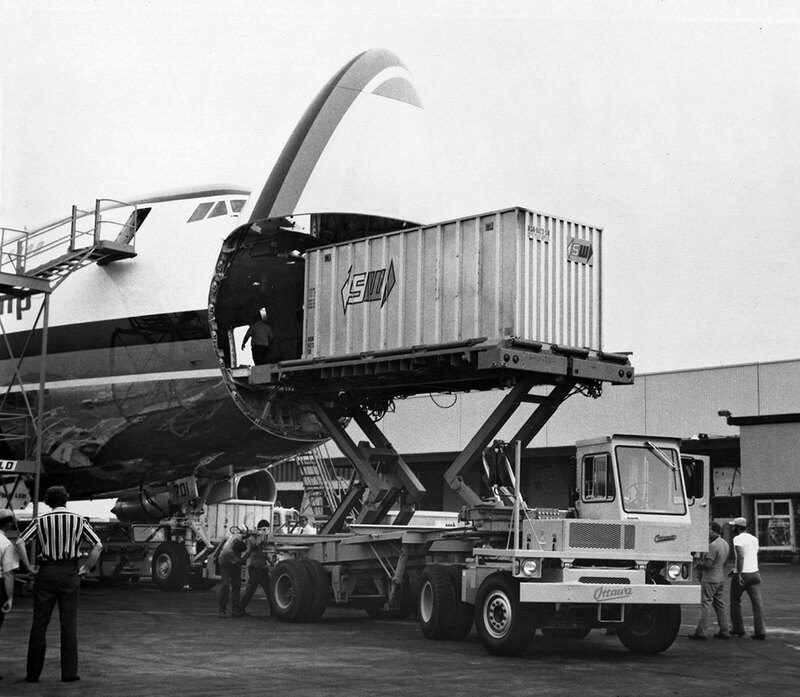 The layout of the 747 was designed to accommodate two rows of such containers. 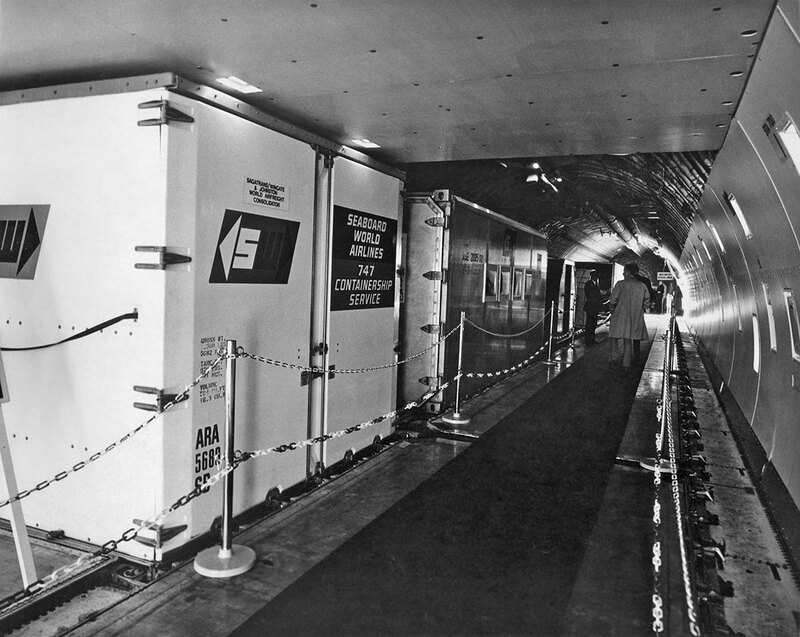 Since a side door would not allow loading of long containers, a nose door was provided. This photo shows a 20' container shows a being loaded through the nose door. This photo shows a 10-foot container being loaded through the nose door. The cockpit was raised to provide clearance for containers 8 feet high. This photo shows the ceiling of the cabin under the cockpit. The photo also shows that the height of the cabin is higher behind the cockpit. The side door was used to load items too tall for loading through the nose door. Maritime containers are built with steel corner posts and heavy steel corner fittings that allow stacking as many as seven high on ships. They also have to be strong enough to allow lifting by the top corners. A maritime container can be seen in the same photo behind the white container. They are heavier than desirable for airline use where stacking is not a requirement. Seaboard was a pioneer and had to learn from experience what worked best. 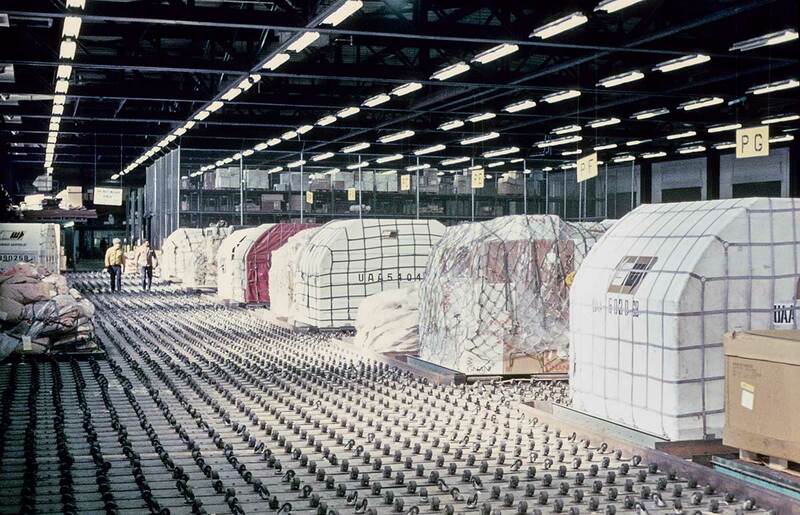 The air freight industry turned to lighter containers without heavy corner posts and corner fittings, as seen in this photo. 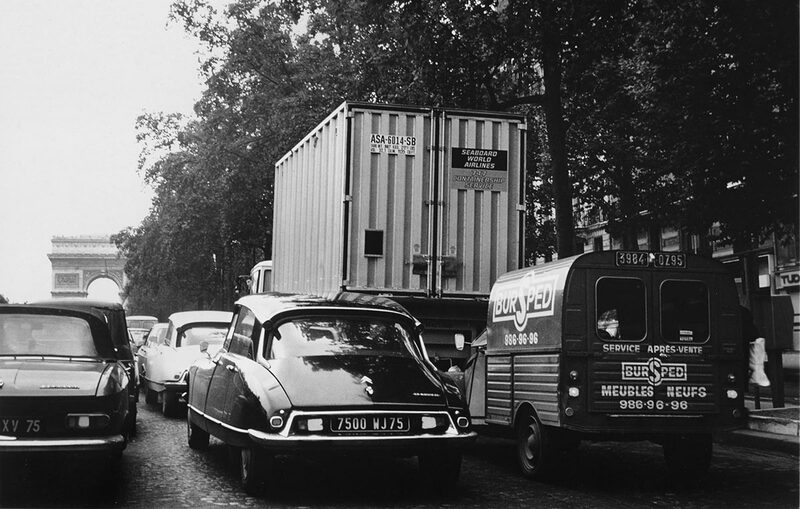 One can be seen here in Paris on a flat-bed trailer. This is another view of the white 10-foot container. 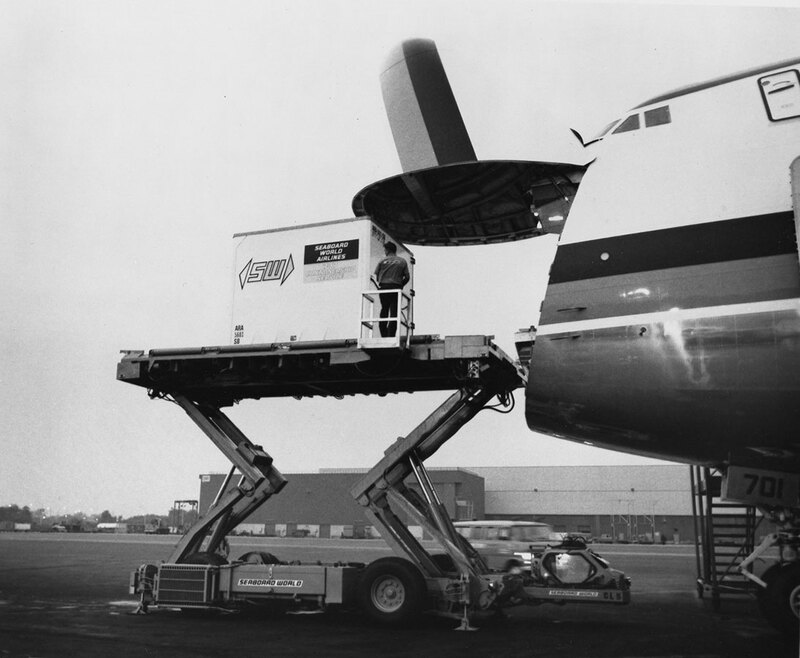 Also carried were standard pallets, with and without igloos, used on narrow bodies freighter such as Seaboard's DC-8s. Two can be seen to the rear of the maritime container and in this photo. After almost 40 years of service, the latest model of the Boeing 747 freighter is still the largest freighter in regular airline use. Its payload and versatility are still unmatched.